-General. Owner responsibility, track inspector’s qualifications, track class, operating speeds, measuring Track, penalties and exceptions. Subpart B-Roadbed. Drainage and vegetation. Subpart C-Track Geometry. Gage, surface and alignment. Subpart D-Track Structure. Ballast, ties, rail, joint bars and tie plates, rail fastenings. 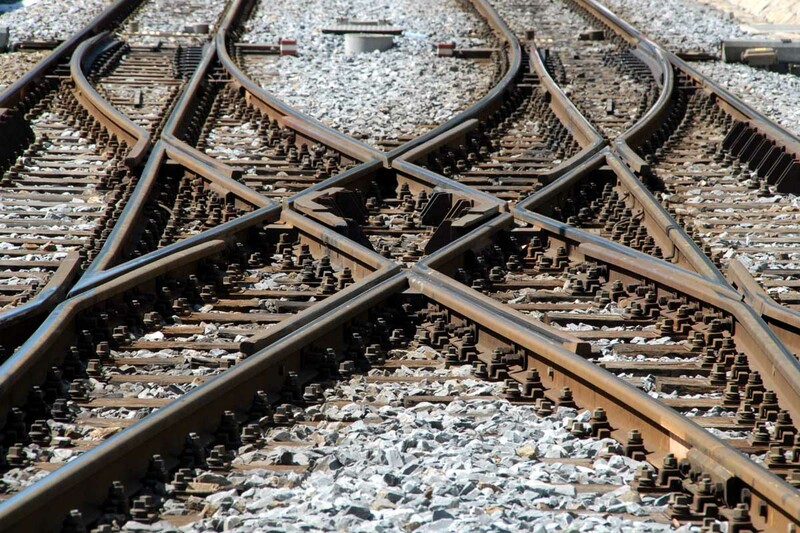 Turnouts and railroad crossings. Subpart F – Inspections. FRA inspections, and inspection records. Final: test over material covered, course evaluation. Chapter 3- Roadway Worker Protection* Purpose and scope., Information collection requirements. Railroad on-track safety programs, generally. Compliance dates. Review and approval of individual on-track safety programs by FRA., On-track safety program documents, Responsibility of employers, Responsibility of Individual Roadway Workers, Supervision and communication, On-track safety procedures, generally, Working limits, generally, Exclusive track occupancy, Foul time, Train coordination, Inaccessible track, Train approach warning provided by watchmen/lookouts. Definite train location, Informational line-ups of trains, On-track safety procedures for roadway work groups, On-track safety procedures for lone workers, Audible warning from trains, Roadway maintenance machines, Training and qualification, general, Training for all roadway workers, Training and qualification for lone workers Training and qualification of watchmen/lookouts, Training and qualification of flagmen. Training and qualification of roadway workers who provide on-track safety for roadway work groups. Training and qualification in on-track safety for operators of roadway maintenance machines. Additional classes offered by ARC-Tech are as follows. *Minimum class sizes are required. Learning: This course will meet the FRA on-track safety requirements for roadway workers training. The course has been developed by ARC-Tech and can be customized to meet any of your roadway worker training needs. The class is instructor led to allow any questions or concerns with the on-track safety rules to be discussed. Target Population: Any employee, or contractor to the railroad who is or might be a roadway worker. Learning: To increase students overall knowledge of the technical skills needed to perform their job safely and economically. Emphasis is placed on track geometry parameters, and equal time is spent on the maintenance and construction of the track structure and the inspection requirements of the FRA 213 TSS manual. This course covers the entire track structure, and is a must for any foreman, or potential foreman. This course can be divided into two separate four day classes. Target: Any foreman or Asst. foreman or any employee contemplating working a foreman's job. Students need: FRA 213 TSS manual, on-track safety manual, safety rule book, 2nd week only - hard hat, safety eye wear, whistle, safety footwear, clothing for field trip appropriate for the time of year. Learning: To reinforce construction, maintenance and FRA 213 TSS inspection limits criteria. This course also looks at any changes in policies and procedures relating to both the railroad and the FRA. Emphasis is placed on turnouts, track geometry, and can be customized to meet the needs of your railroad. Target: All Roadmaster, supervisors and asst. supervisors (basic and Production), and potential Roadmaster or supervisors. Students to bring: FRA 213 TSS manual, on-track safety manual, safety rule book, copy of your railroads engineering maintenance policy manual. Learning: To increase the participants knowledge and skills relating to track inspections. This course combines intensive FRA 213 TSS classroom training along with actual field demonstration and testing. Emphasis is placed not only on the detection of track defects, but also on the application of appropriate remedial actions to compensate for the defects. A major portion of the course is spent on track geometry, and the proper completion of the required inspection reports. Target: Track inspectors who have never attended, or have not attended in the last five years. Any foreman who inspects track on vacation relief, or part time basis. Any Foreman contemplating bidding an inspectors position. Prerequisite: Student should have attended eight day foreman training. Students to bring: Hard-Hat, safety eye wear, gloves, safety footwear, tape measure, whistle, clothing for field work appropriate to time of the year, FRA 213 TSS manual, on-track safety manual, safety rule book. Learning: To increase signal department employees knowledge of the requirements of working on or about the track and its structure as per FRA TSS 213.7C and qualify employees to visually supervise trains over certain broken rails and pullaparts. This training meets the requirements of the FRA for visually supervising movements over broken rails and pullaparts, and includes a qualification exam. Target: Any signal department, or non 213.7A or 213.7B qualified track department employee whose job requires them to work on or about the track or its structure. Prerequisite: At least one year MW or signal experience. Learning: Participants will be given an overview of boom truck courses given for track, bridge and building, and signal employees. This seminar is class room only, and is designed to keep supervision informed on current information being given to the field forces in regards to hoisting equipment. This class will cover requirements of OSHA/ANSI mobile crane inspection parameters, for both "Stick boom", and "Knuckle boom" equipped vehicles. Learning: This course covers operating rules found in the latest edition of the general code of operating rules applicable to railroad engineering department employees, or contractors to railroads who wish to better understand the operating rules. The course has been designed by ARC-Tech and can be customized to meet the specific operating rules training requirements of any railroad. The course is presented as a power point program, and is instructor led to answer any questions that may arise. Target: Any engineering department employee of a railroad or contractor to a railroad, who is interested in becoming qualified on the operating rules. Learning: Participants will understand the basics of wire rope, slings, boom angles and radius of operation, and the maintenance, inspection and safe operation of the different types of hoisting equipment, including knuckle booms and personnel buckets, used in the B&B department. This course meets the OSHA/ANSI requirements for mobile crane training. Time is spent both in the classroom and in the field with "hands on" training, using one of your B&B Department Boom Trucks. Target: All bridge and building department employees who operate, or may operate, any hoisting equipment. Students to bring: Safety rule book, drivers license/CDL, hard-hat, safety eye wear, safety footwear, and clothing for field trip appropriate for the time of year. Learning: Participants will understand basics of wire rope and synthetic load line, slings, boom angles and radius of operation and the maintenance inspection and safe operation of different types of hoisting equipment used in the signal department. This course meets the OSHA/ANSI requirements for mobile crane training. Time is spent both in the classroom and in the field with "hands on" training, using one of your signal department boom trucks. Target: All communication and signal department employees who operate, or may operate, any type of hoisting equipment. Students to bring: Safety rule book, drivers license/CDL, hard-hat, safety eye wear, safety footwear, and clothing for field trip appropriate for the time of the year. Learning: Participants will understand basics of wire rope, slings, boom angles and radius of operation and the maintenance, inspection and safe operation of different types of hoisting equipment used by track department employees. This course meets the OSHA/ANSI requirements for mobile crane training. Time is spent both in the classroom and in the field with "hands on" training, by operating and inspecting one of your track department boom trucks. Target: All employees who operate, or may operate, any type of hoisting equipment. Learning: To increase the participants overall knowledge of the track structure and to help them better identify problem areas on their track before and accident occurs. This course is designed to be given to a railroads customers who have their own track facilities. The course has been shown to be effective in reducing derailments in private industries, which in turn lessens the chance of an injury to your operating employee, and the loss of use and damage to your equipment, while creating good "public Relations" with your customers. Target: Any customer with rail facilities that your equipment operates in. Students to bring: Hard-hat, safety eye wear, safety footwear, and clothing for field trip appropriate for the time of the year. Learning: To keep present track inspectors up to date on changes in procedure and to keep current on FRA 213 inspection practices. When conducted as a two day course it will not have any field work, classroom only. Three day course includes all two day material, plus third day field trip and field testing. Target: All working track inspectors and relief and part time inspectors who have attended the four day track inspection course, and any foreman interested in becoming a track inspector. Prerequisite: Should have attended the four day track inspection course. Students to bring: FRA 213 TSS, On-Track safety manual, safety rule book. If conducted as a three day course hard-hat, safety eye wear, gloves, safety footwear, tape measure, whistle and clothing for field trip appropriate for the time of the year. Copyright © 2009-2014 AllenRailroad.Com. All rights reserved.